Skin + Coat is a dietetic complementary feed for dogs, which supports the skin function in case of skin inflammation (dermatosis) and hair loss. 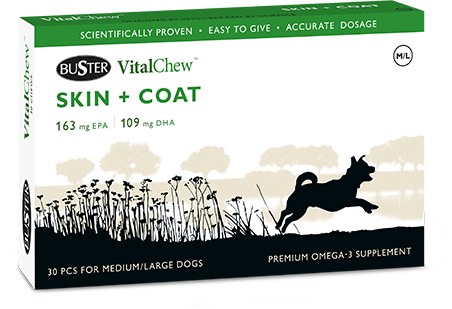 Skin + Coat contains adjusted amounts of the essential EPA and DHA acids from fish oil. In addition Borage oil, Zinc, Selenium, Vitamin E, Riboflavin and Biotin have been added, which together with the fish oil support skin, fur and the immune system. Available for small dogs (up to 10kg) and medium/big dogs (10-30kg+). 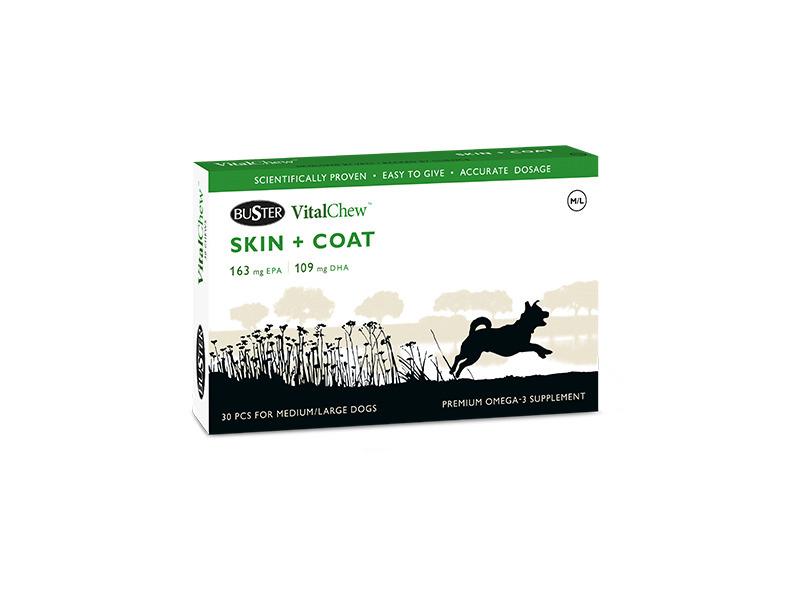 There are currently no questions for VitalChew Skin + Coat - be the first to ask one!